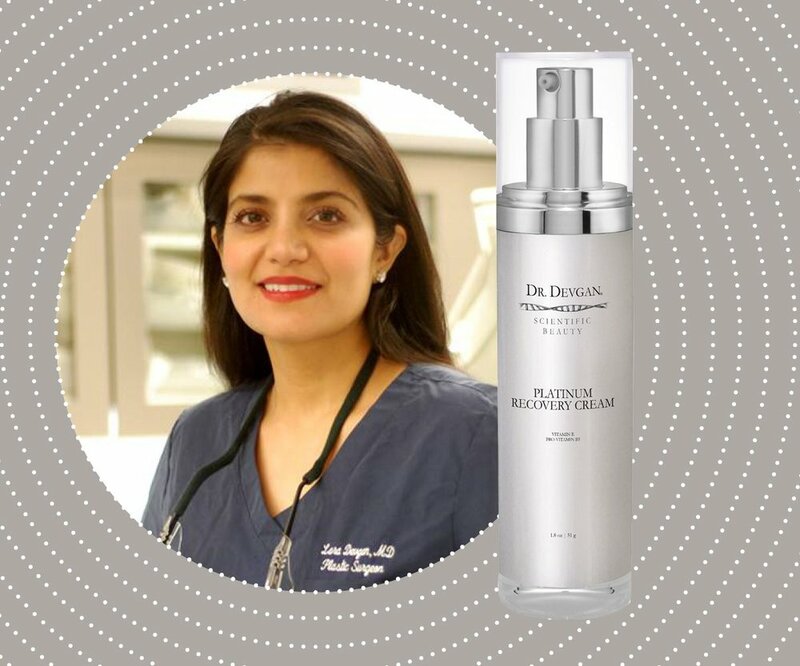 Dr. Devgan’s recommendation is the Dr. Devgan Scientific Beauty Platinum Recovery Cream, which she specifically created to calm and repair inflamed, dry, and irritated skin. Its quality ingredients are highly effective at restoring the skin’s barrier function and keeping skin hydrated and supple. See what other surgeons say in the full article here.